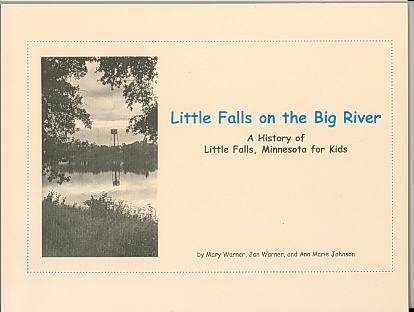 Morrison County Historical Society publications may be purchased at the Weyerhaeuser Museum in Little Falls, MN. Part of our mission at the Morrison County Historical Society is educating the public about county history. We’ve found that one of the best ways we can do this is through our publications, which include our newsletter and several books. Chock full of county history, the MCHS newsletter is one you’ll want to keep. That’s what we’ve heard from satisfied readers, anyway. The newsletter is a benefit to MCHS members and keeps them apprised of what’s happening at the Weyerhaeuser Museum. It is published four times a year. To purchase a membership, go to our Shop page. For offline membership purchasing alternatives, see our Membership page. 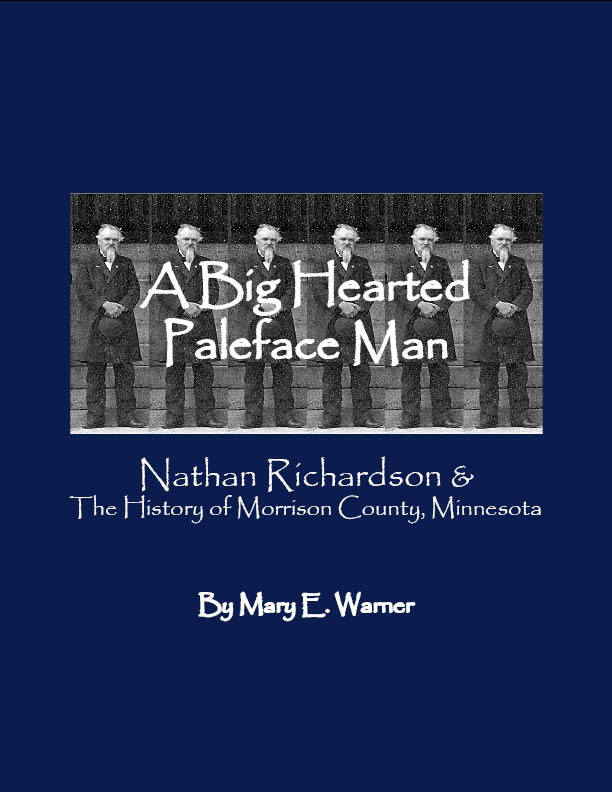 Biography of Nathan Richardson, one of the founders of Morrison County. He held more political offices than any one else in the county. Book includes full text of Richardson’s 1876 and 1880 histories of Morrison County. Published in 2006. Winner of the American Association for State & Local History’s Award of Merit in 2007. Hardcover, 404 pages, 16 color plates plus reproductions of black & white historic photos. Purchase at the Weyerhaeuser Museum in Little Falls, MN. Written in 2000 to serve as a local history curriculum. Second edition printed in 2001 for public consumption due to popular demand. The book presents the history of Little Falls in easy-to-digest sections, and includes sidebars with suggested activities for further local history study. Softcover, 99 pages, black & white historic photos throughout. eBook version: This is a large pdf file that requires high-speed internet to open. It’ll take about 5 minutes to fully download at a download speed of 5 Mbps. The first official publication of MCHS. 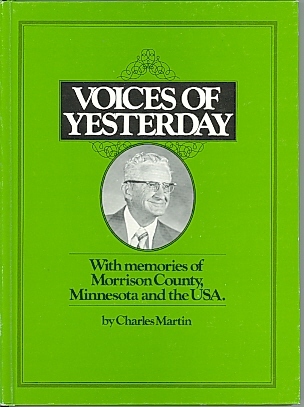 Published in cooperation with the Morrison County Arts Association, the book captures author Charles Martin’s reminiscences of the county in the form of poetry.Martin was a much loved English teacher at the Little Falls High School, along with being an active supporter of theater and speech. To accompany Mr. Martin’s poetry, several local artists have illustrated Voices of Yesterday with charming black & white drawings. Hardcover, 85 pages, black & white drawings. Laura, we would be interested in reading your article. Please send it along! Ann Marie, Curator of Collections.